The San Diego Association of Governments is partnering with the commuting app Waze to accelerate more San Diegans into using the carpool lanes. The GPS navigation software app has an on-demand feature called Waze Carpool that allows commuters to connect in order to share rides. Carpools are driven by everyday people looking to fill the empty seats in their cars. A user can go on to the app and see which drivers are heading to the same area. "These are not professional drivers so this is not a chauffeured service," explained Ray Traynor, Director of Operations for SANDAG. "This is really two individuals that see that it would be complementary and mutually beneficial for both to actually form a carpool." SANDAG hopes the carpool pilot program can help ease congestion on San Diego's busy freeways. The riders share the cost of commuting, paying 58-cents per mile with a maximum cost of $15 per trip. Drivers are compensated up to 58-cents per mile. 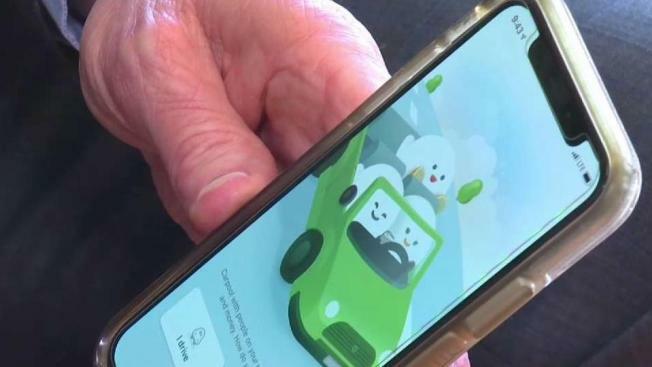 SANDAG and the app is offering some incentives for commuters to get started with the app; riders who sign up for the carpool feature can receive up to 10 free rides while drivers who offer up to 10 free rides also get a $50 gas card from SANDAG. Step by step directions on how to use the app can be found here.